The rotator cuff muscles of the shoulders are the fine tuning muscles that keep the round head of the humerus bone centered in the shallow glenoid socket or fossa. Imbalances of the fine tuning or major muscles of the shoulder lead to off centering of the joint during movement. This leads to decreased performance in strength/speed/endurance, abnormal stretching of tissues, joints that are too loose, clicking, pain & degeneration. A mnemonic to help remember the muscles involved in the rotator cuff is “SITS” which stands for Supraspinatus, Infraspinatus, Teres Minor & Subscapularis. The Pec. Minor originates on the anterior 3-5 ribs and inserts on the coracoid process of the scapula. The Supraspinatus originates on the posterior aspect of the scapula above the spine of the scapula and inserts on the upper portion of the greater tubercle of the humerus. The Subscapularis originates on the subscapula fossa on the anterior aspect of the scapula and inserts on the lesser tubercle of the humerus. The Teres Minor originates on the lateral margin of the scapula and inserts on the lower aspect of the greater tubercle of the humerus. The Infraspinatus originates on the posterior aspect of the scapula below the spine of the scapula and inserts on the middle portion of the greater tubercle. 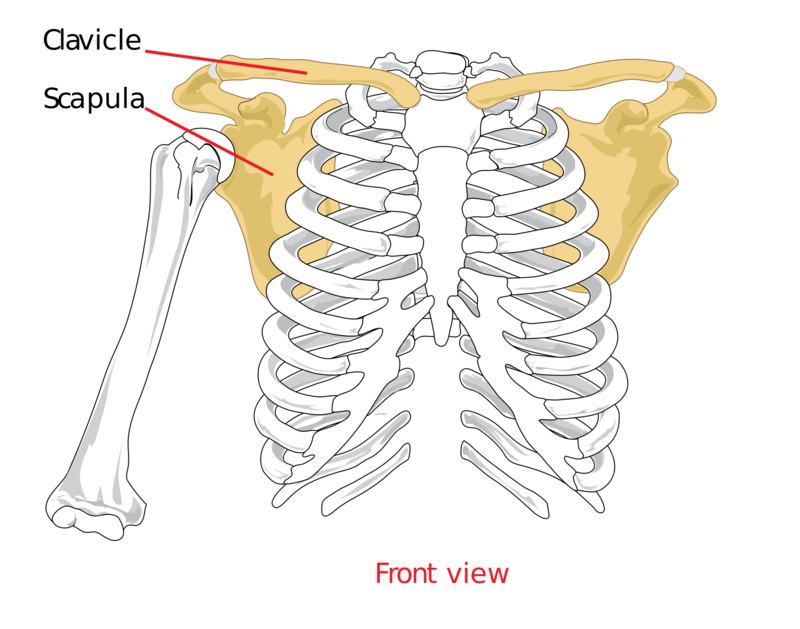 Previous Previous post: Which muscle doesn’t attach to the scapula? Next Next post: Which muscle is not a hip rotator?